I have them now, thanks! My email address is on the “About” tab. 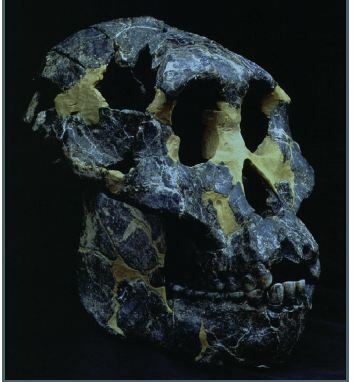 What Did Australopithecus sediba Eat? The researchers concluded from their scientific tests that bark and other fracture-resistant foods were at least a seasonal part of the A. sediba diet. While bark and woody tissues had not been previously documented as a dietary component of any other ancient African hominids, such foods are consumed by many contemporary primates and contain both protein and soluble sugars. The diet of A. sediba may have been similar to that of today’s African savanna chimpanzees, Sandberg said. As mentioned above I don’t have access to Nature so can some one send me a copy of the article? My email address is on the “about” tab and the article can be found at DOI: 10.1038/nature11185. Filed under: Australopithecus |	Comments Off on East African Australopithecines: More than One Species?